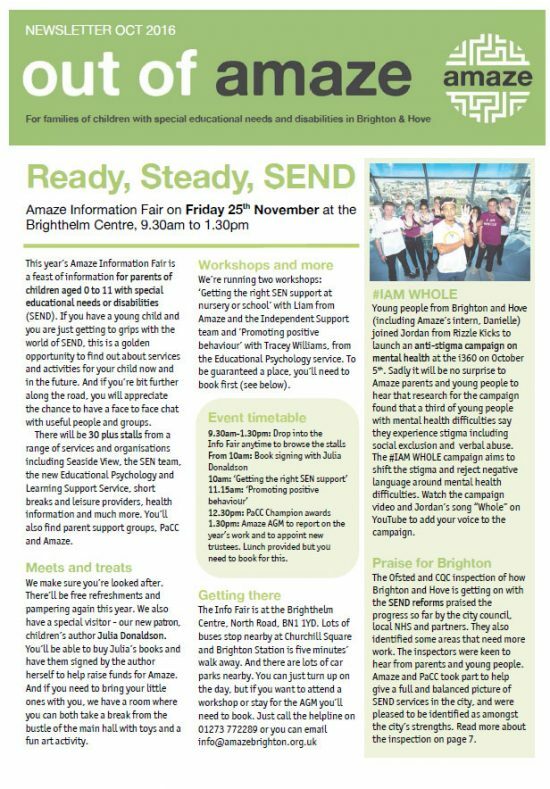 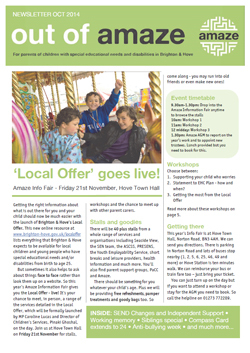 Over 6000 copies of our 'Out of Amaze' newsletter go out by post and email each term to families with children and young people with SEND and the professionals who work with them. 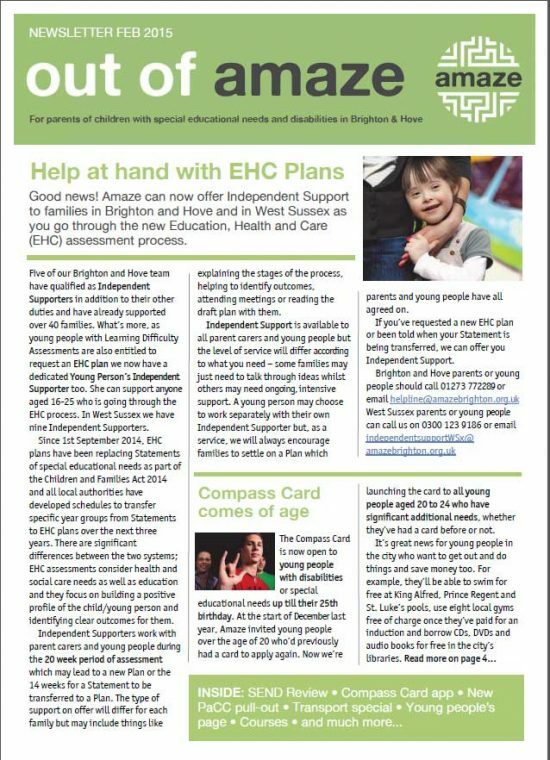 Sign up to receive our newsletter by email in the box to the right or click on the images below to download current and past copies. 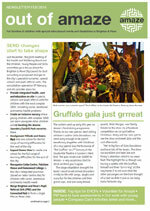 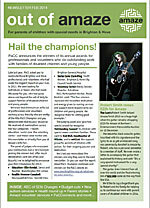 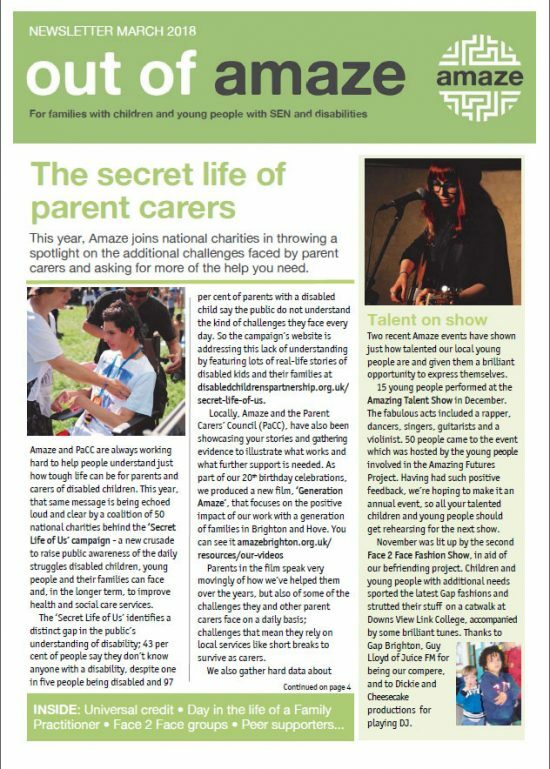 Contents: SEND proposals latest; Top tips for EHCPs; budget cuts; Blatchington Mill’s inclusive trip to New York; PIP Face to Face assessments; CCA news; PaCC Award Winners 2014 and more. 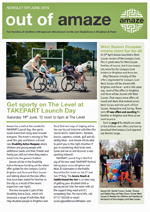 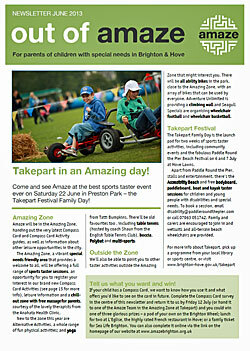 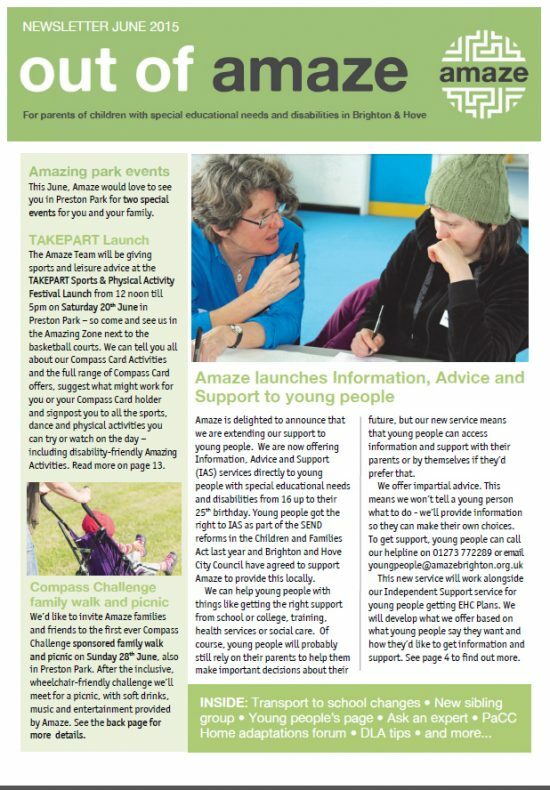 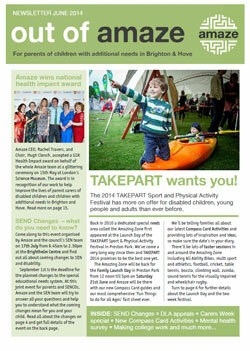 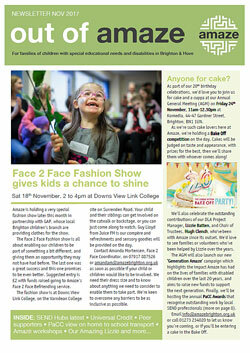 Contents: Amaze launch Information, Advice and Support for young people up to 25; Compass Challenge family walk and picnic; Home to School transport latest; new siblings group; TakePART festival of sport; PaCC forums; DLA tips and more. 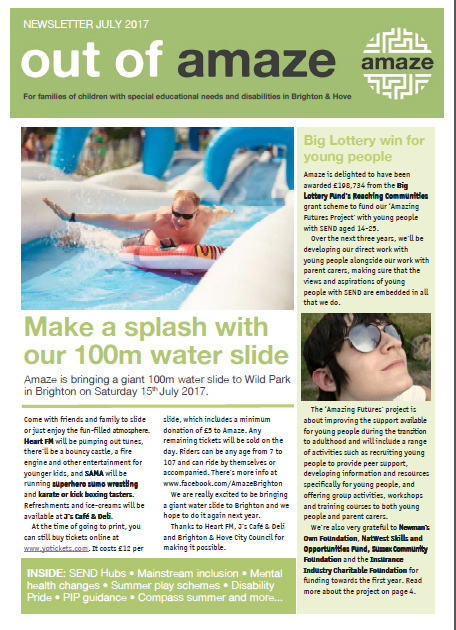 Contents: Take Part Amazing Zone PIP explained; Tips for starting secondary school; inclusive summer play schemes; Talk Health follow up; PaCC Awards and Compass activities latest. 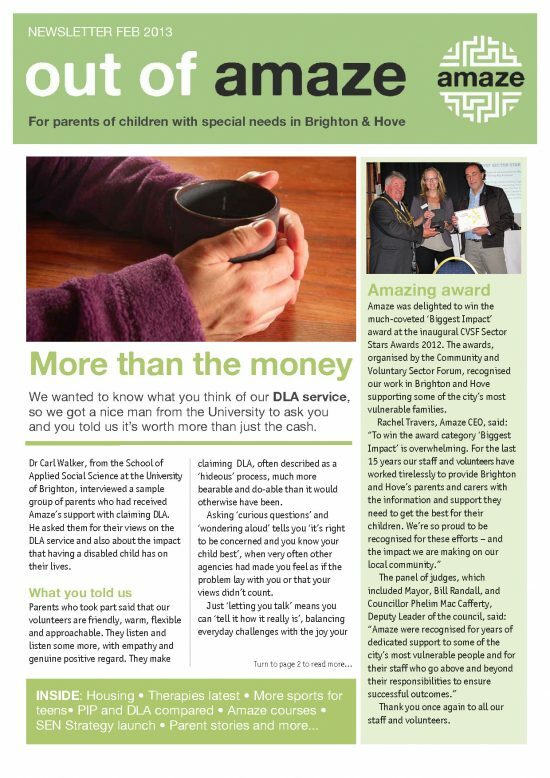 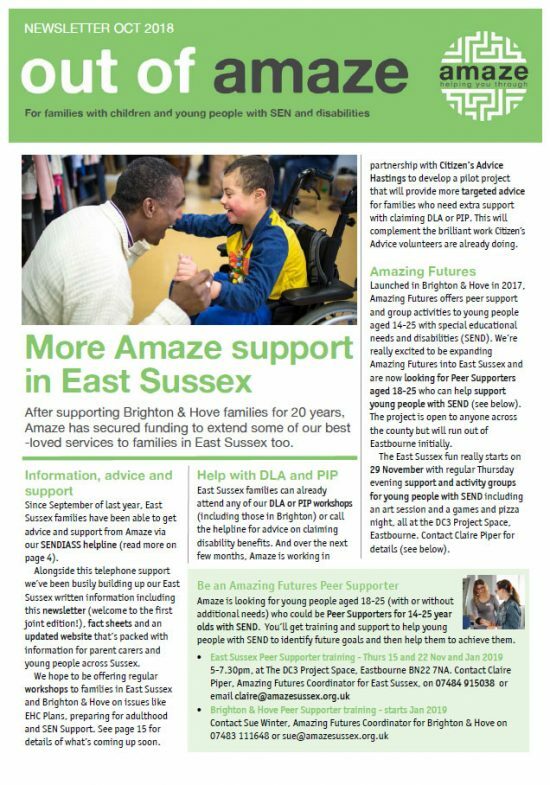 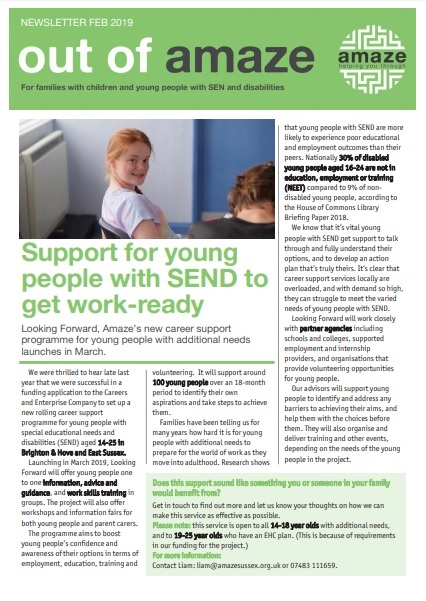 Contents: DLA service evaluation; Therapies update; DLA and PIP compared; Parent support groups; More sports for teens; Housing; SEN Strategy launch and more. 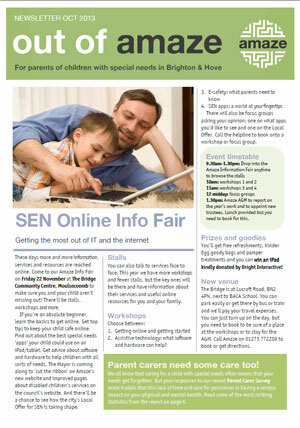 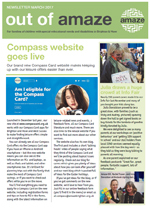 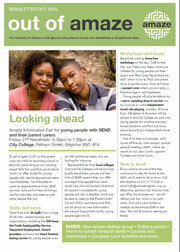 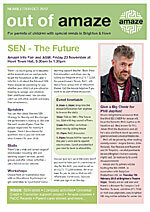 Contents: Take Part 2012; Our new helpline session; SEN strategy latest; healthier futures; Tips for claiming DLA for communication difficulties; Amaze courses and Compass Card Activities latest.